It is a great time to Join Paparazzi Accessories!! I have an amazing special for you this November!! I would love to have you be apart of our journey. The promotion for this month is excellent!!! if you are interested contact me! April is going to be awesome!! Take a look at my latest post for our special!! From time to time Paparazzi also offers some specials when you join or for our fabulous customers! If you are curious about this months promo please get in touch with me with any questions! Parties are related to special occasions. We party when we reach new milestones. We party to celebrate those we love. Sometimes we throw a party just so we can see our closest friends and enjoy their company! A good party leaves every guest feeling happy, connected, and uplifted… Sound familiar? There’s a reason that we say that Papar…azzi allows you to party for a living! 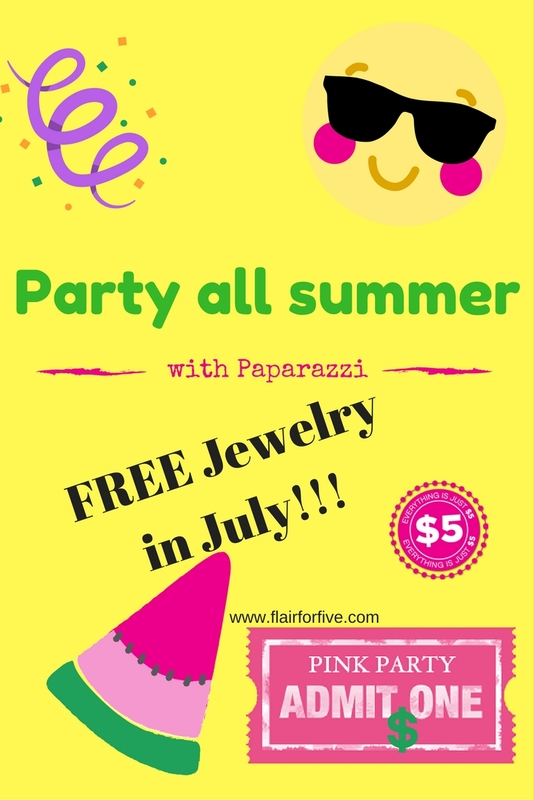 Who can not party with this gorgeous $5 jewelry?! January is the perfect time to invite everyone you know to join the Paparazzi party, because every Consultant who enrolls this month will receive extra accessories for FREE inside their Starter Kit! Check it out!! ** Don’t forget! The Large Home Party Starter Kit includes a FREE ticket to #ALLAccess2017, which is the BIGGEST Paparazzi party of the year! Did I mention convention is in Las Vegas??!! I cant wait to help you get started! 2016 was amazing for our team and we have even bigger goals for 2017!! If you are ready to start working and reaching your goals (and making some extra money! ) we would love to have you!